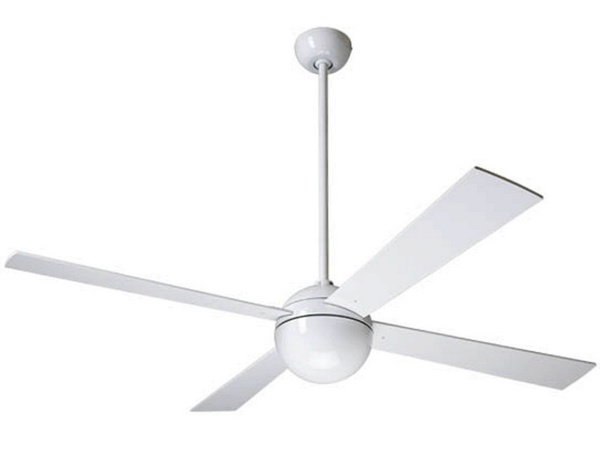 DesignApplause | Modern fan. 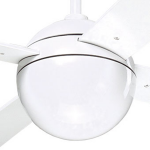 Ball fan. 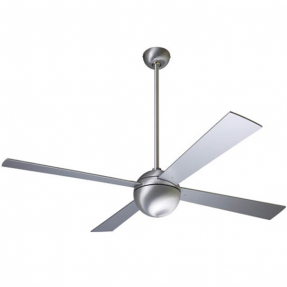 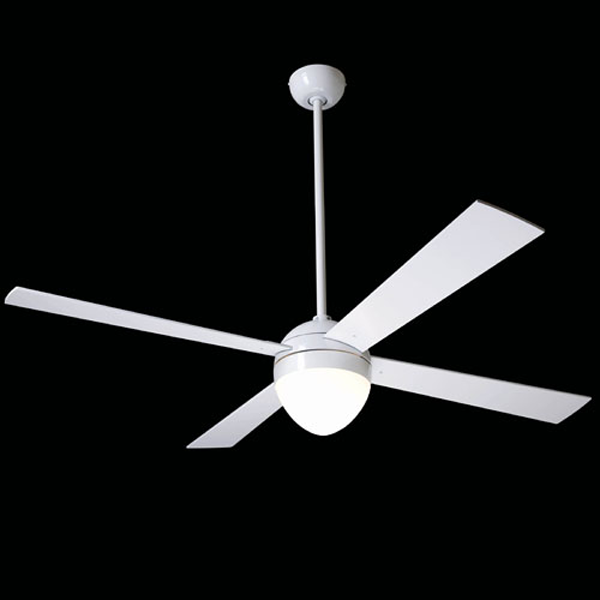 The Ball fan, somewhat resembling an airplane propeller, is an expression of a conventional approach to this necessity- the ceiling fan. The Modern Fan Co. took a minimalistic approach, offering a variety of functional options that slightly alter the appearance of the overall design. 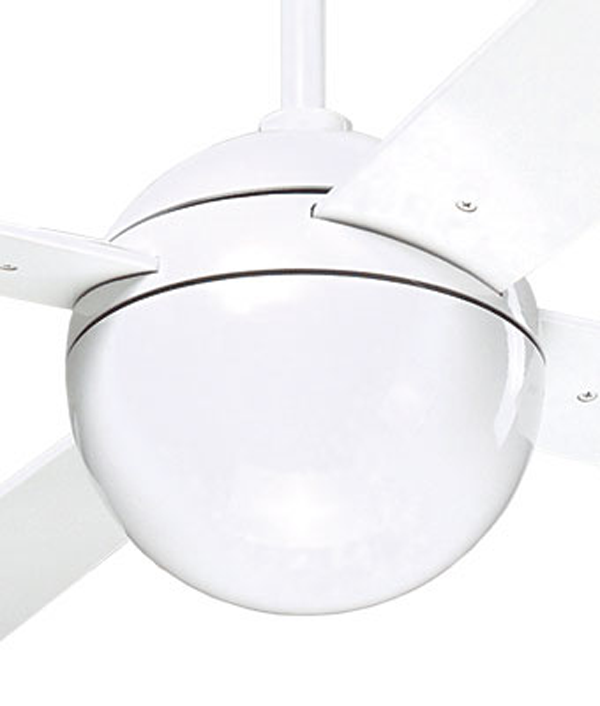 The standard model comes in brushed aluminum or glossy white. 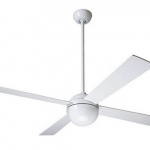 Blades are also available in maple, and come with blade spans of 42″ or 52.” The fan comes in four speeds, and is available with a light at its center.